Reiki (pronounced ray-key) is a holistic healing method that manipulates energy flow in the body; it is based on the belief in an energy that supports the body’s natural healing abilities. Reiki practitioners believe there is an energy force in and around the body and that there is a flow of energy between the practitioner and recipient. Reiki focuses on seven chakras in your body. Energy should flow freely through your chakras for you to be healthy – spiritually, physically, and mentally. Practitioners believe you may feel ill, weak or have pain if energy paths are blocked. 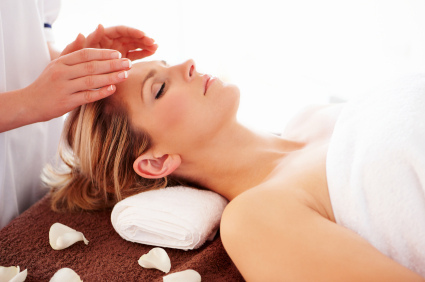 Reiki is used to reduce stress, decrease pain, ease muscle tension, and improve sleep. Reiki treatment is safe, non-intrusive and non-manipulative. Recipients remain fully clothed during treatment while the practitioner lightly touches or places hands over specific energy centers, directing healing energy to promote relaxation and bolster the body’s ability to heal itself.